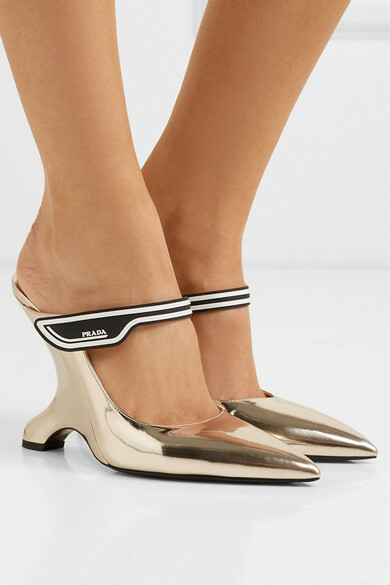 Prada styled versions of these sculptural mules with so many looks on the Spring '19 runway to play up the collection’s '60s mod feel. 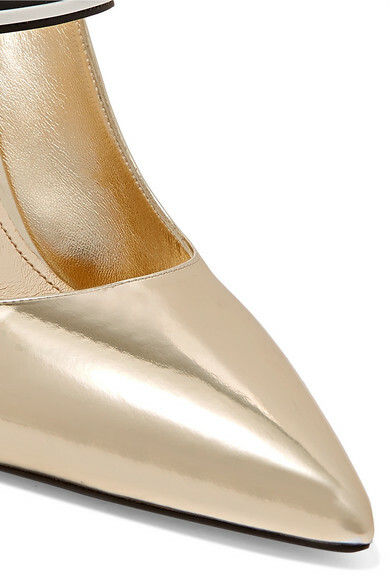 Made in Italy from pale-gold mirrored-leather, they have exaggerated pointed toes and distinctive inverted heels, which you'll definitely want to show off with high hemlines. 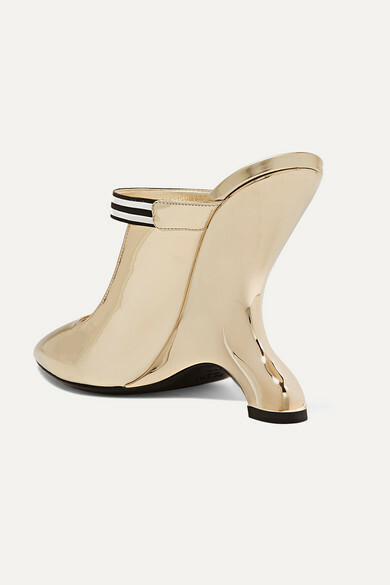 They fasten with a single striped Velcro® strap, decorated with the house moniker. 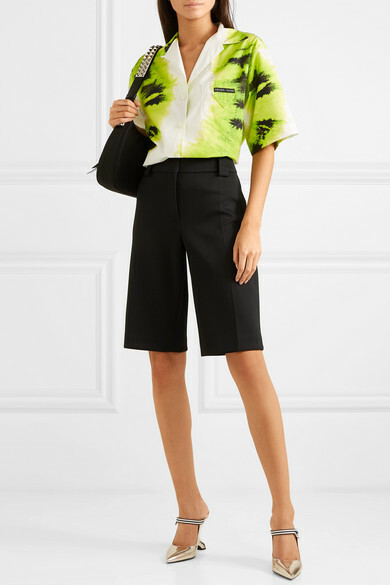 Shown here with: Prada Shirt, Prada Shorts, Prada Shoulder bag.